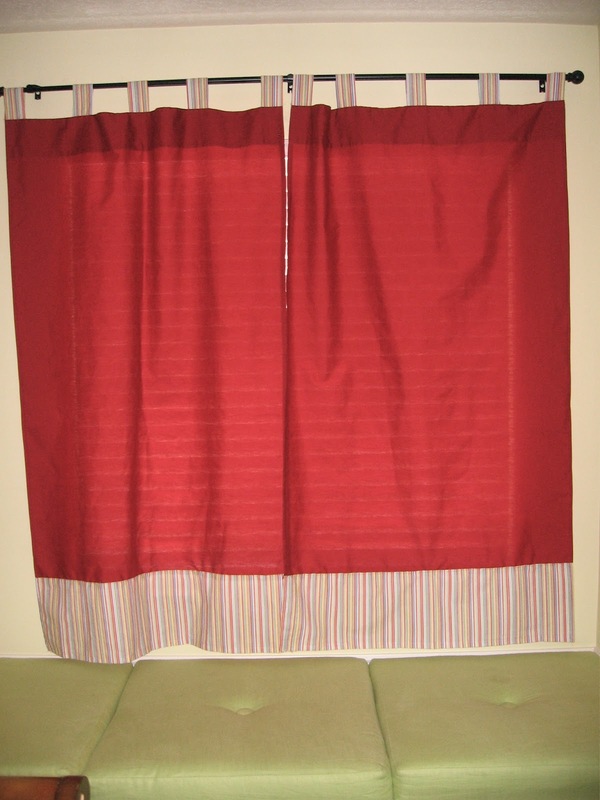 Jeff wanted me to make darker curtains for the boys' rooms since their rooms get so hot in the evenings. I'll take any excuse to dust off the old sewing machine so I was up for the challenge! I saw an idea on Pinterest to make curtains out of $5.00 twin flat sheets from Wal-Mart. Um. Yeah. That sounded like a super idea. 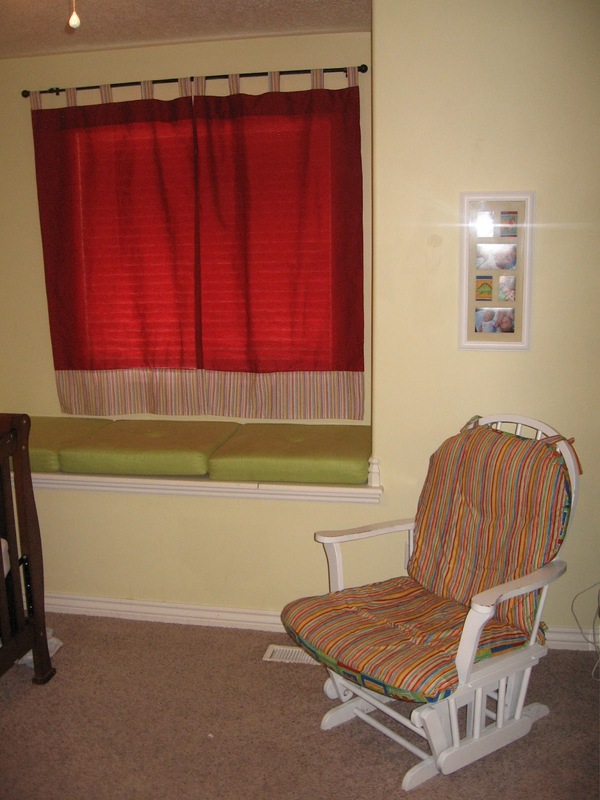 Even better -- I happened to find a striped pattern that was very similar to the fabric I used for the chair in Carson's room. I love the way Carson's curtains turned out even if they give his room a red glow in the evenings. 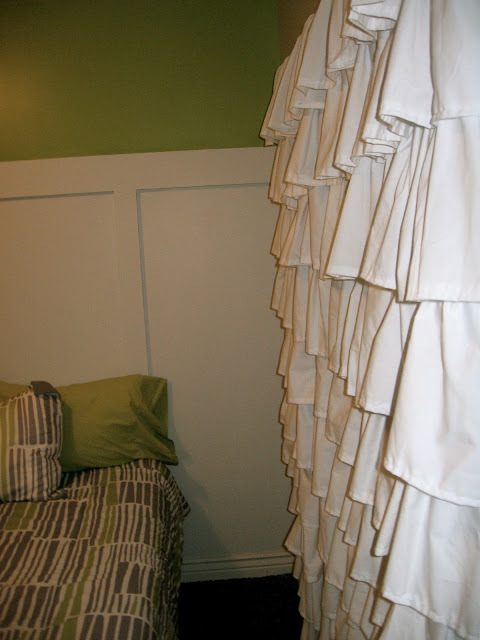 For the past month I've been working on ruffle curtains for the guest room. Again, these are made out of flat sheets. I may just be a slow seamstress, but these babies took me about 20 hours to finish. Glad that project's done! Clever title! The red curtains turned out so cute in Carson's room. And what a lot of work those ruffly curtains must have been. Big project and wonderful finished result. Your creativity continues to impress!! I can't believe you! Seriously, Pinterest things for my house...and then feel free to make them. They look so great! I'm so impressed! 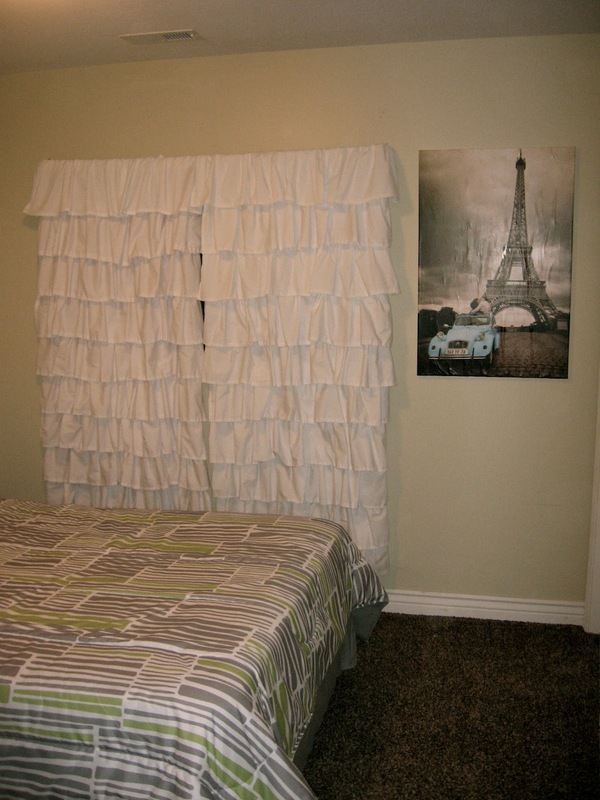 I wanted some pink ruffle curtains from pottery barn kids so bad but they were like $96 a panel so I opted out. 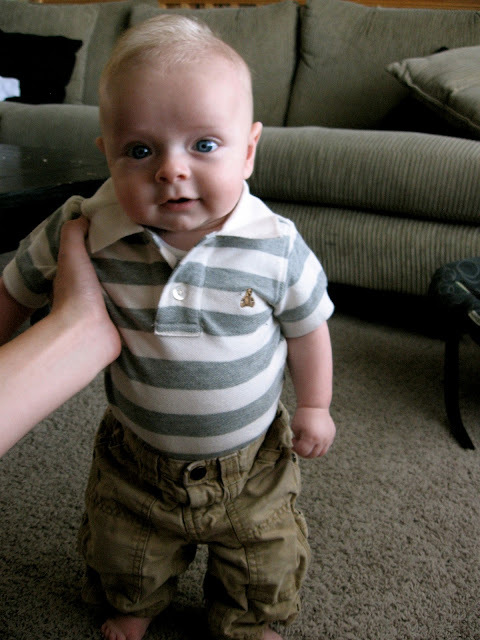 Yours looks just as cute! I settled for some target pink curtains that just have some small vertical ruffles on them, I didn't dare try my hand at making them. You are AMAZING!